Design and create the best logos for you and your brand in a few minutes and completely free with our online editor. A logo is the graphic representation of a brand. It is the fundamental piece in the design for your corporate or personal brand. It will be the element with which your potential customers will be able to differentiate your brand from the competition. The logo seeks to reflect the main characteristics of the entity. Therefore, creating the perfect logo is not an easy task and it can also be a high cost if you hire a graphic designer. Through EDIT and its hundreds of templates for fully customizable logos, you can design your logo by yourself, with excellent results. Thanks to EDIT you can create high-quality logos that will adapt to your needs. Nothing happens if you do not have a clear idea of what you want. Therefore we have created more than 100 templates at your disposal that will serve as inspiration and will help you in the creation of your logo. One of the most important and beneficial aspects of using EDIT to create your logo will be that you will be able to edit and modify everything to your liking so that your logo is unique. In addition, we provide you with all the necessary tools to create it. You can modify your logo as many times as you need because each user has an internal memory inside the editor that will allow you to save all your designs and access and modify them whenever you want. You won’t have to worry either if you have no design experience because this graphic design platform has been created so that anyone of all skill levels can use it. 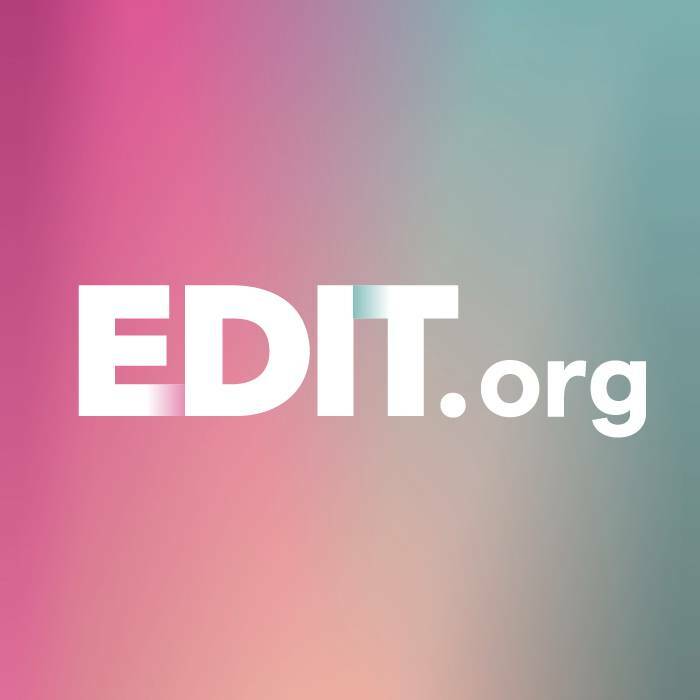 With EDIT anyone can become a designer since its use is very simple and intuitive. From the first time you make contact with this editor, you can create great graphics. Open the editor from the browser and choose the "Logos" option. Choose one of our templates or start with a white canvas from scratch. Modify to your liking all the elements that are presented, typography, colors, and icons. Begin to include it in all your corporate publications and make them remember you! Simplicity. It must be simple without abusing unnecessary decorative elements. In this case, "less is more" is one of the fundamental pillars that we have to have in mind when designing. It is important to keep in mind that your logo might be presented in small sizes, so the simpler the better. Transmit the values of the brand. It is difficult, but it has to be the graphic representation of the brand. Easily identifiable. It must be easy to remember and identify without having the possibility of being confused with another logo. If you copy another brand's logo it will be impossible to differentiate yourself in the market because there will always be confusion. Timeless. This means that at the time of its design, we do not have to let ourselves be carried away by the trends of the moment but we have to think about the future and create something that doesn’t go out of style and survive time. This doesn’t mean that you can not include small modifications and tweaks to update it over the years. Careful colors. You will have to take into account the corporate colors of your company and what they represent. In addition, you have to think about the possible scenarios where your logo will be present and how they will combine the colors. For example, if your logo is yellow it will not stand out in a bright green background. When you design your logo in EDIT, you will have access to the design whenever you want so you can add it to any other design templates you create and you can share it on all of your social platforms. You will be able to familiarize your audience with your brand so that they end up recognizing you only with the logo. In addition, if your followers share your publications they will also be sharing the image of your brand. You shouldn’t forget to include it whenever you have the opportunity.